3. Add curry powder . 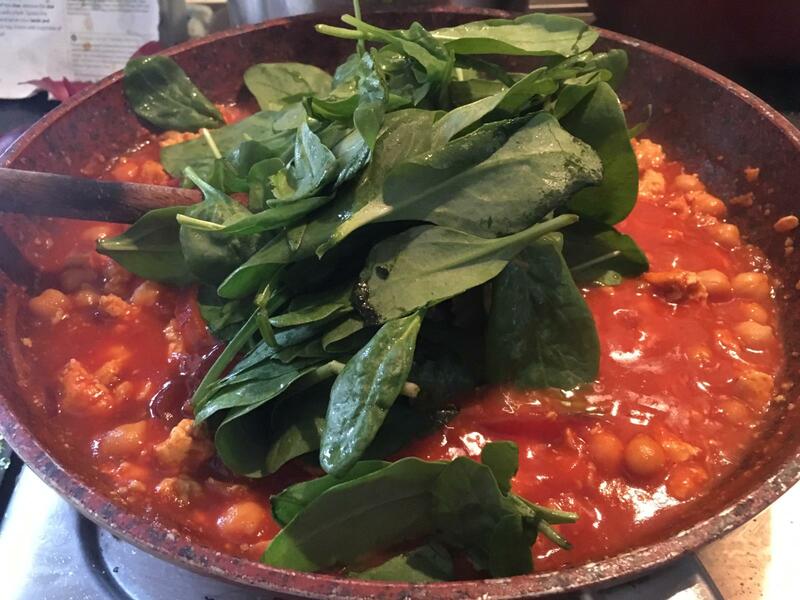 Stir and cook for 1 min then add chickpeas and passata and cook for a further minute.